The horticulture industry makes a huge contribution to the Scottish economy and communities throughout the country. 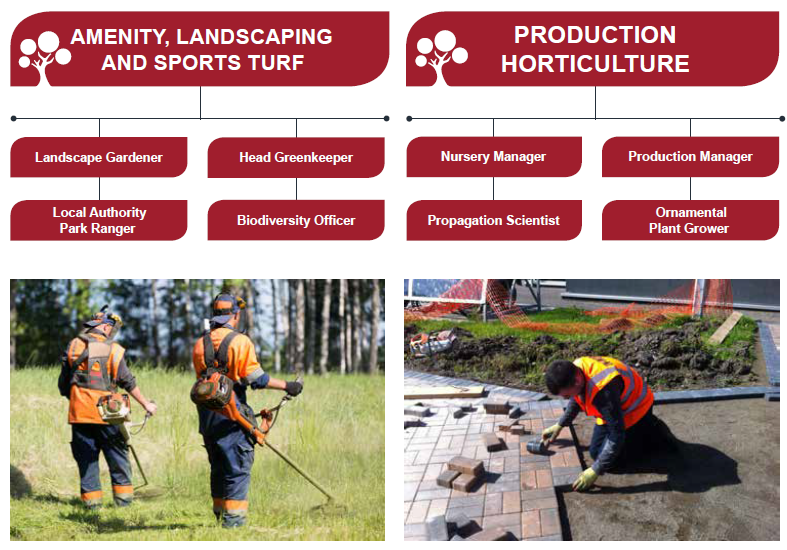 Lots of research and development takes place within two two main career options of Production Horticulture or Amenity, Landscaping and Sports Turf. Whichever route you want your career to take, you will be working with the latest technologies, developing new species and innovative methods of growing, working in partnership with people and businesses from across the country and the world. If using your creativity and getting your hands dirty sounds appealing, or using your knowledge of science and technology is more up your street, a career in horticulture could be for you. There is a great demand for new entrants and many different pathways into the industry. Horticulture is always changing, with advances in pest control, growing techniques, machinery and cultivation. There are opportunities for everyone, but if you are technically minded or want to start your own business, you can make fantastic progress. Have a look at examples of jobs available or watch Callum Reid talking about studying Level 3 Parks, Gardens and Greenspaces at Glasgow Clyde College. Jennifer completed a Modern Apprenticeship with SRUC while with the Royal Botanic Gardens. Reece has been doing horticulture SVQs through Borders College.